A long time ago, “Star Wars” revolutionized movie marketing when the worlds of cinema and food were mashed together. 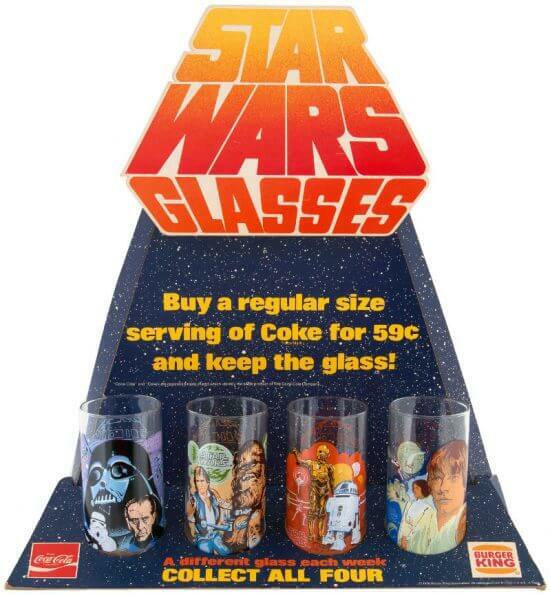 Four burger chain promo items were some of the first collectables to jump out of hyperspace in 1977. 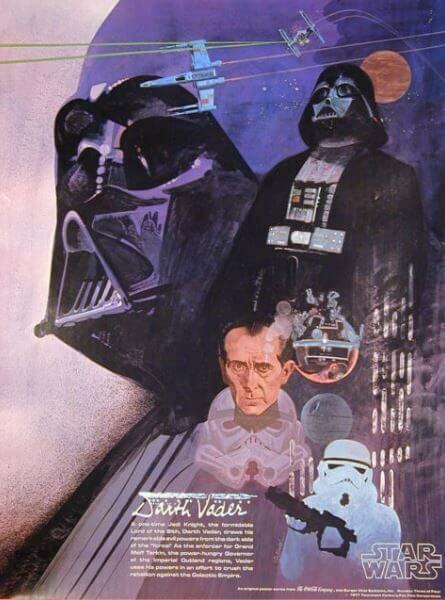 Though “Star Wars” changed the way movie tie-in toys and merchandise when the blockbuster film debuted in May of 1977, there was still a gap between film and delivery. 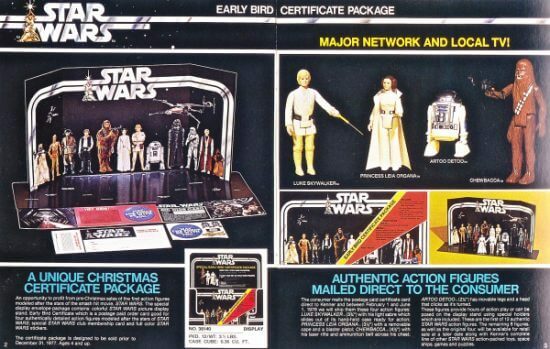 Kenner’s clever solution of the “Early Bird” pre-order package was ingenious, to say the least. Once the toys were on the shelves they never stopped. In the meantime fulfilling the fever for the Force fell to the fast food chains. Coca-Cola, through a pair of fast food partners, stepped up to the plate with premium purchase perks. 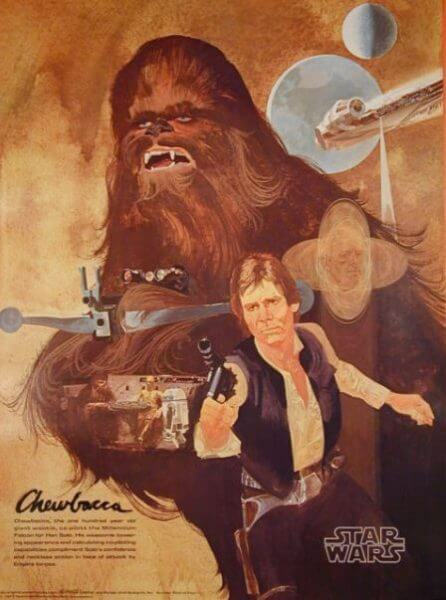 The series of four posters included Han Solo with Chewbacca, Darth Vader, Luke Skywalker, and C-3PO with R2-D2. Each were painted by artist Del Nichols. 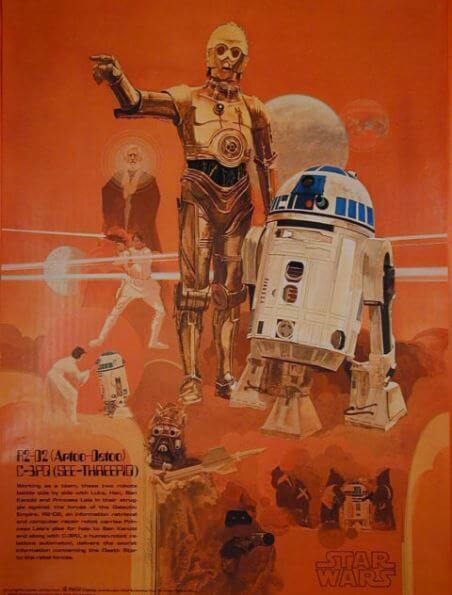 Depending on where the highly collectable poster was obtained, the copyright footer would indicate which image in the series of four and the company name: Coca-Cola and Burger King, Coca-Cola and Burger Chef, Coca-Cola Company Japan or Coca-Cola Company, United States, as noted by the copyright info on the bottom of the print. 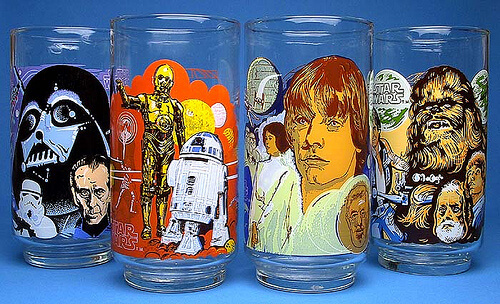 Burger King also offered a series of four collectable glasses based on the same posters. 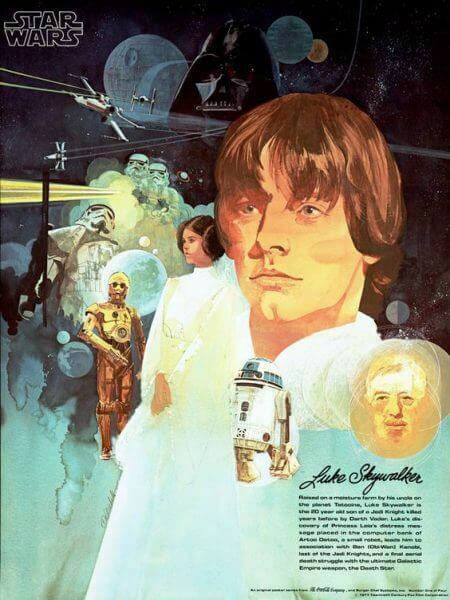 As a kid growing up in the 70’s, “Star Wars” was a huge part of my childhood. I can remember the excitement when my parents would take us to Burger King and another poster and matching glass was obtained. At one time my brother and I had all the posters and glasses. (I may have to round these up again.) The posters and the glass set can occasionally be found today for sale on both Amazon and EBay. Source and Images: Revenge of the 5th, Wikipedia, Pinterest.